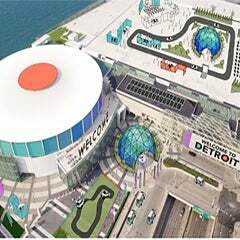 Cobo Center continues its digital art series with a piece by Cassie McQuarter entitled Boss #5 showing across the massive 160-foot by 30-foot marquee digital sign that spans the facility's main entrance. 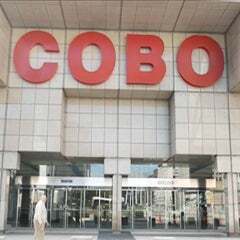 Crain's Detroit Business coined it as "Catwoman dancing across Cobo Center's video board," in their article about the Cobo Center big screen series. 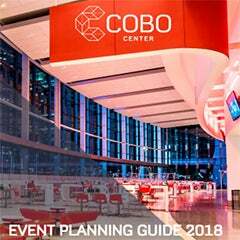 The digital art series is part of the Cobo Center Art Foundation’s public art initiative to enhance visitor experience through art that is free and accessible for all to enjoy. A different video is being played each month this year. McQuater's "Boss #5" is a feminist statement aimed at deconstructing the male-filled world of video games. 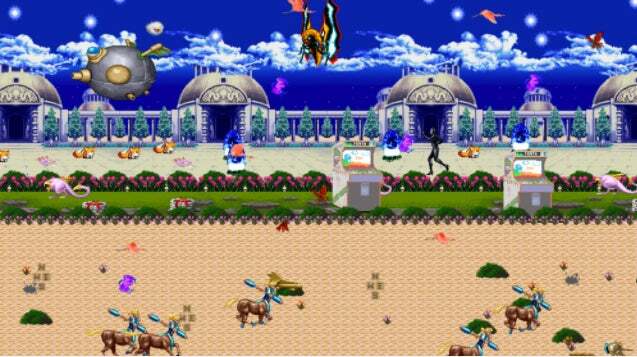 It depicts female video game characters dancing around a crumbling, pixelated city. "BOSS #5 was conceived as a feminist dungeon crawler style game," McQuater said in a news release. "It features a majority female cast of popular video game characters from the 1970s to current day. Each level, or scene, puts the player in the room with, or in the role of, a powerful, resisting and complicated woman." Upcoming videos in the series include works by Susan Goethel Campbell in April, Jessie Stead in May and Analisa Teachworth in June.